Mr. O’Quinn has served as a member of the Board of Directors of Premier, Inc., since August 2015. Since 2009, Mr. O’Quinn has been the Senior Executive Vice President and Chief Operating Officer of Dignity Health in San Francisco, which is one of our member owners. Prior to joining Dignity Health, Mr. O’Quinn served as President and Chief Executive Officer of Jackson Health System in Miami, Florida. 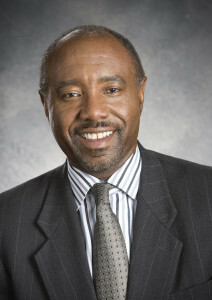 Before assuming his role at Jackson Health System, Mr. O’Quinn served as Executive Vice President and Chief Operating Officer of Atlantic Health System in Florham Park, New Jersey and held executive positions with New York Presbyterian Health System, Providence Medical Center and Providence Milwaukee Hospital in Portland, Oregon. Additionally, he has held key positions with other hospital and medical centers in Portland, Fresno, and Seattle. His board appointments include Charles Drew University of Medicine and Science, Francisco Partners and Ministry Leadership Center. Mr. O’Quinn received a bachelor’s degree and a Masters of Health Administration from the University of Washington.